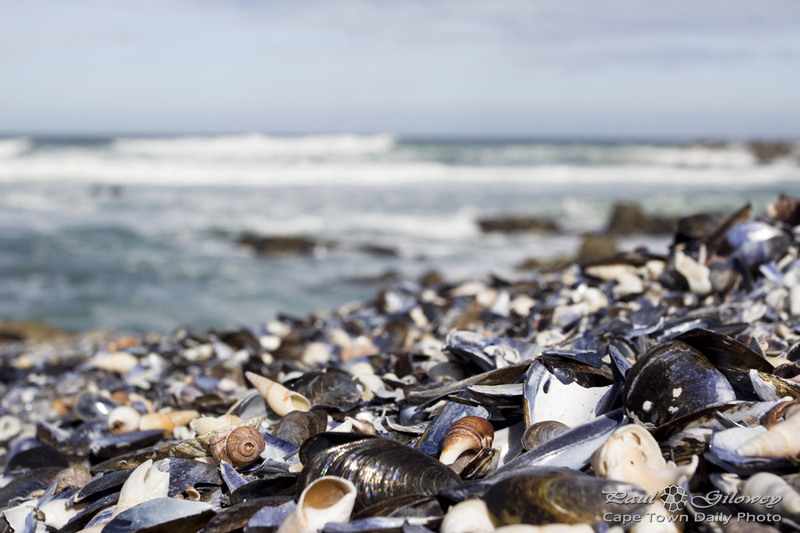 Posted in General and tagged beach, shells on Monday, 1 July, 2013 by Paul. The dad in this photo was walking on the beach with his small son in had, stopping every so often to look at the view. It was quite and unusual sight, different from that of a dad with a rowdy son running up and down like a termite on speed. As with my previous one, this photo was also taken at Sea Point beach. Click on the picture and take a closer look the thousands of shells that (with the exception of rocky outcrops) literally cover every inch of this shore. Pretty awesome heh? Posted in General and tagged beaches, people, shells on Monday, 29 April, 2013 by Paul. 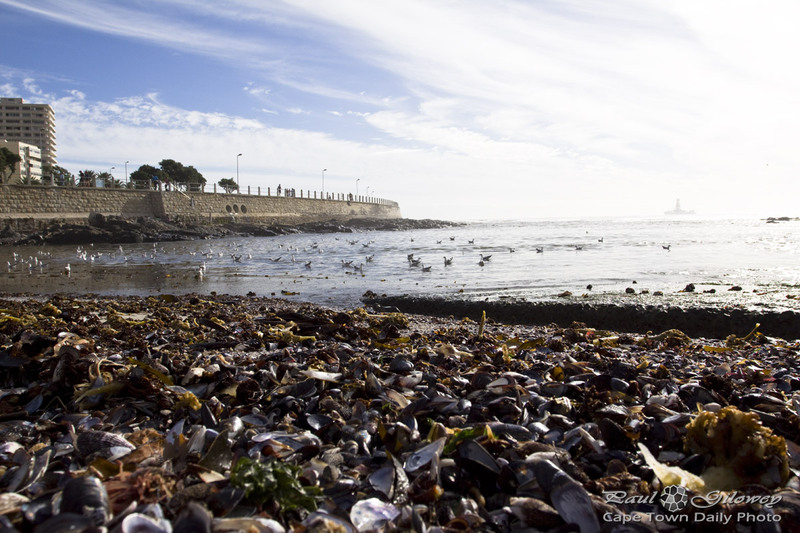 Posted in General and tagged sea, shells, three anchor bay on Monday, 15 April, 2013 by Paul. Don't you love how the clouds and sky reflect on the sand as the water draws back from the beach? 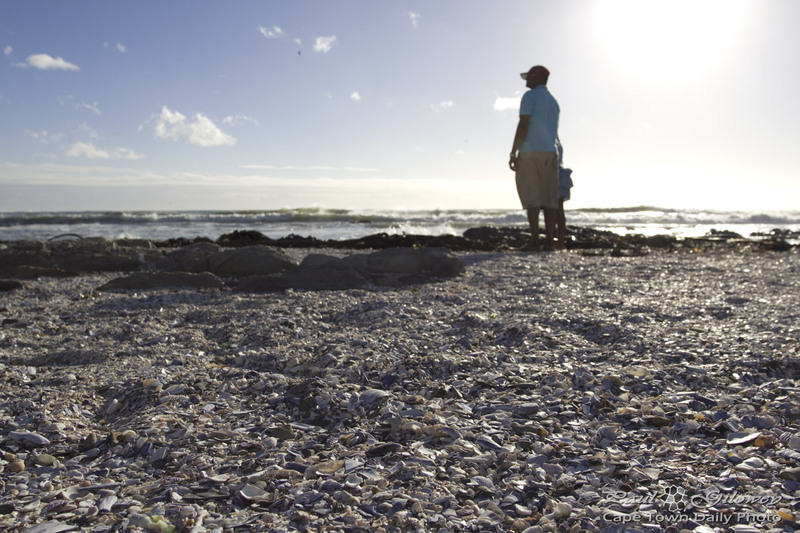 Beaches like those at Blouberg are especially gifted with iconic views of Table Mountain, white sand, and just enough shells to keep things interesting. This is a lovely place to be - when it's warm and the wind isn't blowing! 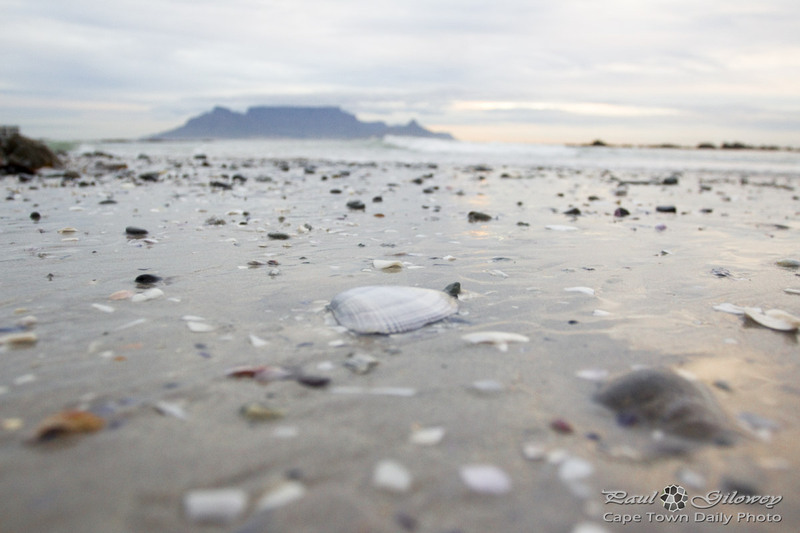 Posted in General and tagged beach, shells, table mountain, tableview on Thursday, 4 April, 2013 by Paul.